One of God’s intent for man and all nations was/is to be governed by His law. Mankind; however, chose, and continues to choose, to run their affairs and the affairs of State through their own means, their own laws and prejudices. Mankind reasons that God’s law legislates against sin, and man has evolved to a level of reason of preferring an order that permits sin and forbids freedom. Go figure! Candidly Biblical law seems oppressive only to those who want freedom to sin. It doesn’t take much looking around to see the on-going results of man’s way over God’s. Those who practice a humanistic ideology wrapped and presented attractively in such forms like Socialism and Marxism profess and shout loudly for a free and all-inclusive society, but evidence continues to mount that no society can truly be free when it discontinues practicing, and even forbids God’s Ten Commandments, and the whole body of His law. We are living witnesses of our Nation’s choice to abandon the Christian Foundation incorporated into our Founding Documents, choosing instead to establish a statist society and morphing imposing government. The humanist mind-set is constantly expanding its power because the goal, and the goal of its disciples, is to be as God, determining their own laws, and writing their own set of morality. Our Forefathers, as imperfect as they were, fully grasped, defended, and put forth in the creation of a new nation the truth that God’s law is full of promises of blessings and freedom to His people. Man’s law is essentially punitive, and while loaded with promises in the final analysis it is not given to any good lasting thing! 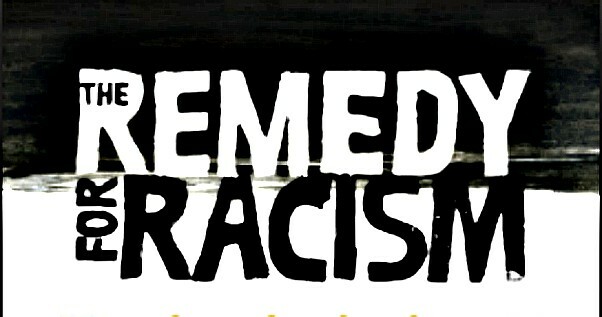 Racism is an example of man living by his own code rather than God’s law. Capital Ministries is not timid to address this painfully sinful and destructive belief system. Please take a moment to listen to the Bible Study on the subject. Thank you! May the Lord of lords and King of kings touch anew your heart. May you be moved to submit (cooperate) to the Lord’s call on your life, and may you not be afraid to stand on God’s law rather than man’s will. See the whole study here. Trump Supporter Gets it Right: DACA Kids should be Grateful to Taxpayers; Go Home, Do It LegallyThe Political Class, Academia, and the Media vs. "We the People"